Damien will perform at this year's Rock Werchter festival in Belgium on Saturday, June 27 alongside a slew of great artists including Pharrell Williams, the Foo Fighters and Florence and the Machine. Tickets are on sale now via Ticketmaster. For a look at all of Damien's upcoming shows, head to the Tour page. 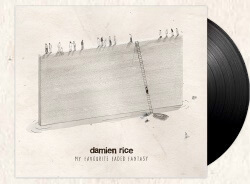 Damien has announced a 15-date North American tour this spring in support of his latest release, My Favourite Faded Fantasy including stops at the Beacon Theater in New York City, the Ryman Auditorium in Nashville and the Greek Theatre in Los Angeles. Presales for the newly announced tour begin Wednesday November 19 at 10 am local time through damienrice.com and Ticketmaster. More information on the new dates and upcoming presales can be found on the Tour page. Watch Damien and Earl Harvin's November 1 concert at Michelberger Hotel in Berlin. November’s edition of Heavy Rotation! My Favourite Faded Fantasy comes with a free tote bag when purchased at your local independent record store, while supplies last. To find your nearest independent record store visit RecordStoreDay.com. For the first time ever, Damien's album is available on vinyl. 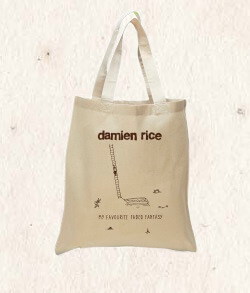 For more information or to purchase visit the official Damien Rice music store. My Favourite Faded Fantasy is now streaming in the US at NPR.org and Amazon.com and will be available for purchase worldwide on November 10.